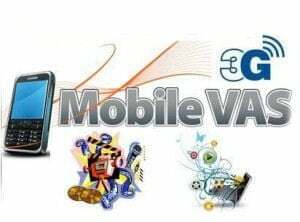 According to survey VAS has become an integral or we can say a mandatory service for Operators as well as consumers for example CRBT (Caller ring back tone) is the most revenue generating service for Operators also it is the simplest way of a consumer to express himself to others. Providing latest VAS content(songs, logos, etc) yields to leverage subscribers loyalty and increase in profits to operators while setting the latest released song as CRBT is the yearning of subscriber this is the way both are linked like a centripetal force revolving the operator another catch is driven by DATA & Short Message Services. In generic terms DATA is coming out to be next revenue clutch for the operator and with the emergence on 3G its potential will be unleashed. It is not value added service! But a cheating service! Balance from the subscribers accounts are unilaterally deducted stating VAS. When one complain it is sometimes refunded. But many illiterates and poor customers forgo a large sum. A very good source of generating more revenue !!! !